Earlier this year, the Home Secretary announced that as of August, specialist doctors are now legally allowed to prescribe cannabis-derived medicinal products. The prescription will require a number of safety and quality standards be met, and only given out to those with an “exceptional clinical need,” said Sajid Javid. The change to legislation was pushed by the parents of Billy Caldwell and Alfie Dingley, two children who each have rare forms of epilepsy, and the seizures they have can be treated with THC oil. The case has also inspired high street health stores to begin stocking cannabinoid oils – but they are extremely different. CBD oil – cannabidiol oil – is made of one of cannabis’ four active ingredients, along with cannabinol, tetrahydrocannabinol (THC), and tetrahydrocannabivarin. CBD is not a psychoactive substance, and is available in the UK both as a dietary supplement and on prescription in combination with THC as Nabiximols. It’s thought by some to be an effective treatment for anxiety, and is prescribed to treat both epilepsy and multiple sclerosis in the form of Nabiximols. THC, on the other hand, is the main psychotropic chemical found within cannabis – meaning it’s the one that gets you high. A number of studies and trials have found it effective in the treatment of chronic pain, spasticity associated with multiple sclerosis, and seizures. While its counterpart CBD is available to purchase on the high street, THC is a tightly controlled substance – and it’s this that will be prescribed to patients like Billy and Alfie to treat their epilepsy. With this change in legislature and new form of treatment available, where does the role of the OT fit in? The UK is dragging its feet when it comes to the legalisation of cannabis as both a recreational and medicinal substance. Canada regulated the use of medicinal cannabis in 2001, and it will become legal as a recreational drug on 18 October – making them the third country in the world behind Uruguay and Georgia to do so. It’s one of 29 countries in the world to legalise cannabis or cannabis derivatives for medical use, with the UK to soon become the 30th. In these countries, OTs sometimes work alongside people to ensure they are using cannabis effectively to treat their ailment. Their understanding is that if people are turning to cannabis to play a medicinal role in their care, healthcare professionals – including OTs – should be able to effectively support their decision. Focusing on the safe use of cannabis-derived products is a role the OT can play in the drug’s use. They can work alongside the care of a physician to ensure that clients are using cannabis effectively and within the boundaries of their prescription. While OTs wouldn’t be involved with the act of prescription, amount to be taken and so on, they can support their client by helping them to keep track of how the medication affects their symptoms and examine the side-effects which come from cannabis use, and how these can affect the patient. Side effects of THC can include increased anxiety, paranoia and depression in some, as well as headaches, light-headedness and dizziness. With an OTs assistance, tracking these can allow patients to share questions and concerns with their GP. 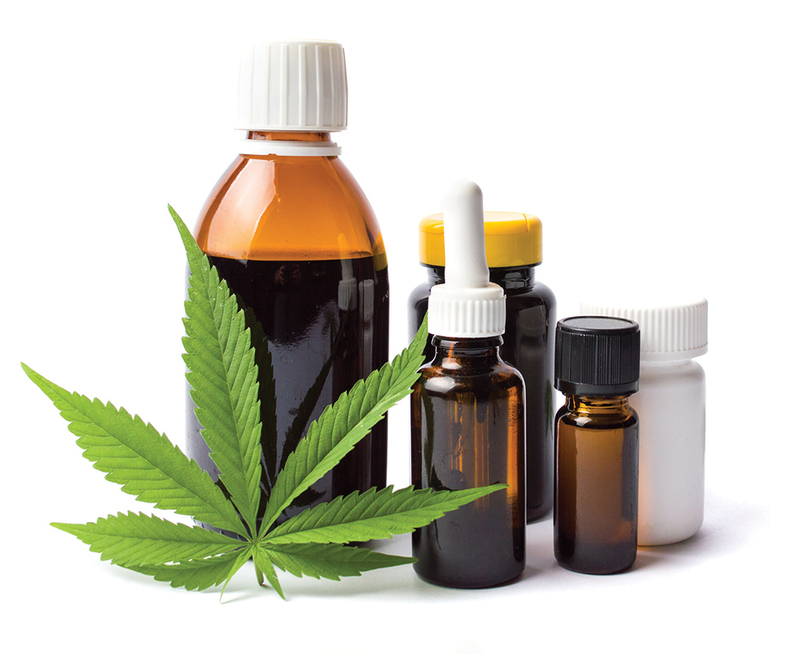 Where cannabis-derived products have been prescribed for the alleviation of chronic pain, OTs can assist by reviewing pain management strategies to compliment the prescription. Cannabis products have been shown in studies to act as a safe and effective long-term treatment of chronic pain in patients with few to no side effects. They can be used as an alternative to standard NSAIDs without the concern of kidney damage or ulcers, and in place of opioids which promote addiction. Cannabis-derived pain management can compliment a number of other therapies, which can be tailored to the needs of the patient. In the interim, the government are developing an “clearer definition” of what constitutes a cannabis-derived medicinal product. They hastened to add that this will “help patients with an exceptional clinical need but is in no way a first step to the legislation of cannabis for recreational use.” This does mean however, that Sativex and Epidiolex, both of which are manufactured in the UK, could soon be prescribed to patients.